All photography by Corey Villicana. Chrissy Powers is almost an Oceanside local, according to her husband Sam who was born and raised in the North County city. 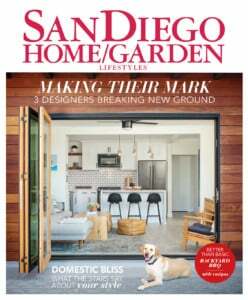 “He says I’m a local after I’ve lived here for 10 years, and I’ve been here nine so I’m almost there,” says Chrissy, a licensed marriage and family therapist, creative career coach, host of the “Sure, Babe” podcast, photographer, influencer and author of her eponymous blog about motherhood, relationships, style and life. 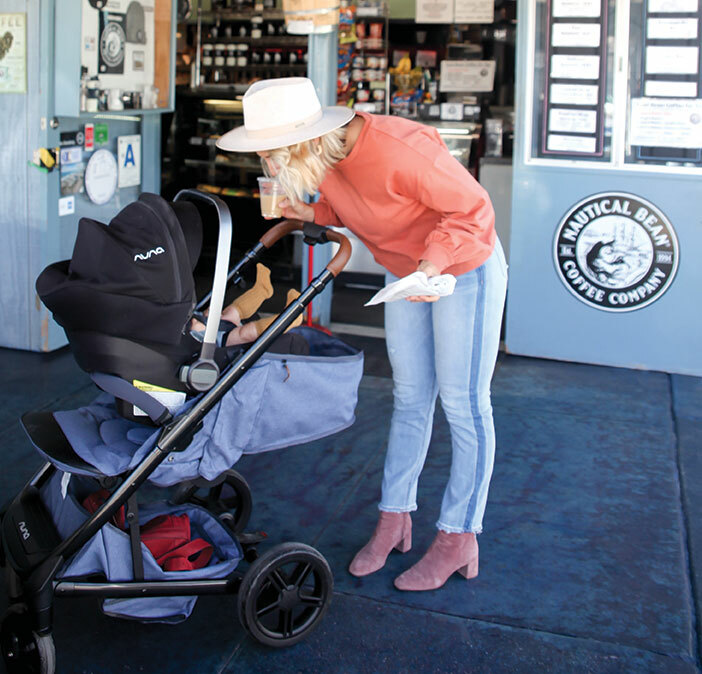 But she’s been in Oceanside long enough (and had all three of their children—Waylon, 7 [this month], Zeke, 3, and Ruby, 8 months—there) to have found the most hip, family-friendly places to chill, eat, grab coffee and shop. I asked if I could meet her and Ruby (the boys were at school) for a morning of exploring in Oceanside. We ate, shopped and enjoyed the sunshine in this town that’s become a don’t-miss destination. This clothing, home, apothecary, gift and children’s boutique carries Chrissy’s absolute favorite candle—local company Craft + Foster’s Lost Coast, a blend of plum, ozone, amber, vanilla, cardamom and clove leaf. It’s where she comes to buy shower or baby gifts or cool vintage stuff (housed in the back of the store) for her home. “I collect pottery and find some great pieces here,” she says. It’s also the place Chrissy comes to pick up a print from her friend, and one of her favorite local photographers, Arielle Vey. In fact, one of Arielle’s best-selling pieces exists because Chrissy called her from the beach to tell her there was a vintage yellow VW bus perfectly framed with two palm trees behind it. Chrissy and her kids stayed with the van until Arielle arrived to snap the photo. The piece, “Zeke,” is named for Chrissy’s middle son. This coffee house sits in a plum location with an outdoor space in the south marina of Oceanside Harbor. It’s where most of Chrissy and Sam’s weekends begin with the kids. The couple grabs coffee (iced for Chrissy), and with the boys’ scooters or skateboards in tow, they walk, scoot or skate along the path, watch the boats come in and out from the jetty or hit the nearby playground on the beach. There’s a little less action today with only Ruby along for the tour. Chrissy sits at one of the coffee shop’s outside tables to eat her bacon wrap, sip her beverage and just enjoy the view. Chrissy and Sam started coming to this kid- and dog-friendly brewpub when it opened nearly five years ago. Now, it’s the couple’s go-to spot when they’re celebrating one of their birthdays with friends (Chrissy rang in her 35th year here). “Sunset from the upstairs patio is absolutely beautiful,” Chrissy says. When it comes to beverages, she admits to being more of a wine drinker (which they serve), but here, the beer selection is vast, so she orders a lambic beer, the Hefeweight on draught and one of the many sour ales. Her husband sticks to IPAs. To eat, Chrissy recommends the macaroni and cheese with roasted cauliflower and Bagby’s cabbage ensalada with smoked corn, black beans, avocado, red onion, cilantro, cotija cheese and creamy cilantro-lime dressing, or the burgers, “which are awesome,” she raves. 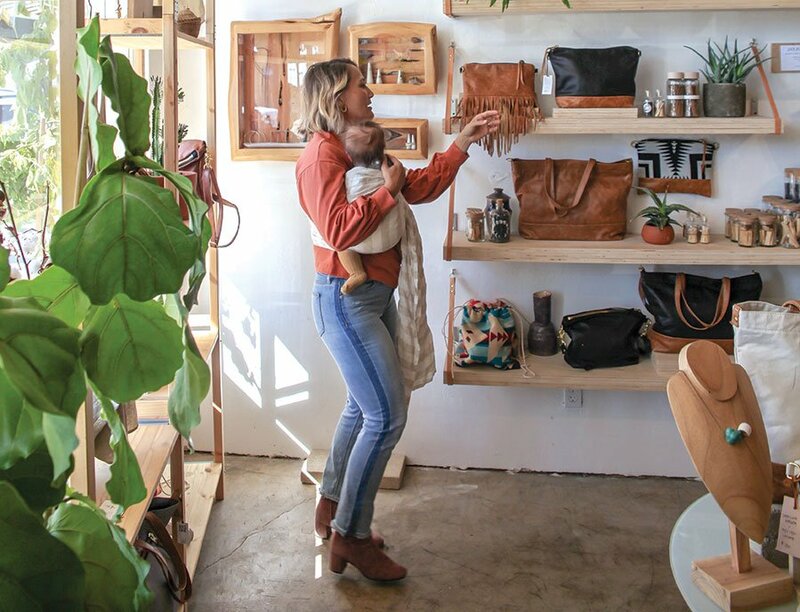 Chrissy visits this co-op store and studio to look for new bags and accessories for herself or to let the kids make keychains and other personalized small leather goods at the DIY table using the scrap leather and material left over from the bags. She’s friends with owner Julie Rais Ellis, who today, helps her figure out Ruby’s positioning in the sling Chrissy’s wearing. 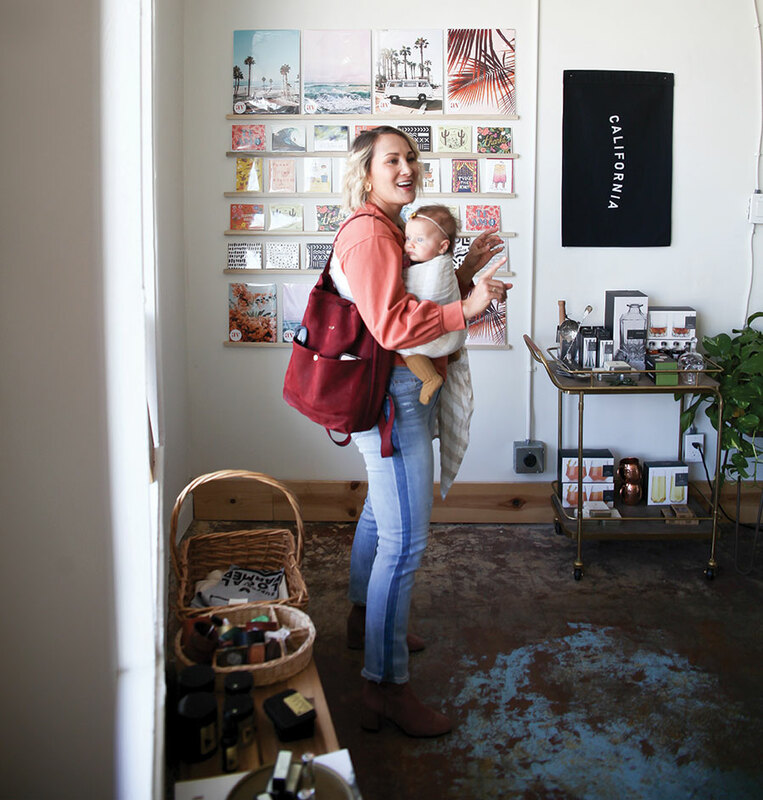 “I love the community aspect here,” Chrissy says, “and everything in this local lifestyle shop.” Besides Julie’s bags, visitors find bath and body care from Mr. B’s Necessities, pottery from Clay + Craft, home goods from Wild Habit and much more. Though it’s only two doors down from Chrissy’s go-to chai latte spot, she comes to this modern coffee shop with the kids because there’s more outdoor seating. She also favors this spacious cafe for work meetings and lunches. Chrissy suggests trying the chia pudding or the avocado toast with either tomato or pickled onion (though there are new takes on the avocado toast all the time here). Today, however, she orders one of the flourless peanut-butter cookies for Zeke, whom she’s about to go get from preschool. A treat at this eatery at the end of the pier is almost as much fun as the journey Chrissy and the kids take to get there. “I’m always looking for photo ops,” Chrissy admits. “It’s the nature of what I do.” So she often works a trinket from one of the vendors on the pier into the deal of getting her boys to stay still for a picture. The boys also love to watch the surfers below. When they reach the diner, they typically ask for one of the window tables. “Sitting there feels like you’re on top of the ocean,” Chrissy explains. They order chocolate or vanilla milkshakes and fries. Chrissy usually picks something from the “How De-‘Lite’-Ful!” menu, which means it’s under 650 calories, but she admits the fries are worth the splurge. 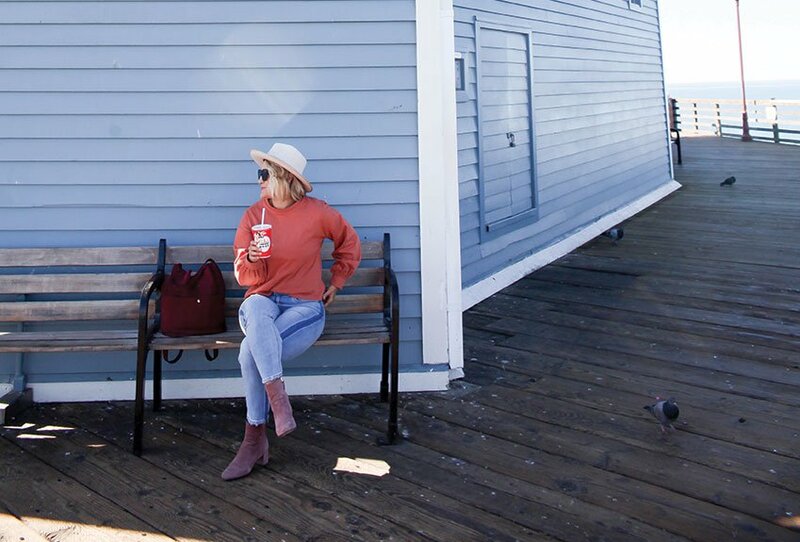 “Sitting there feels like you’re on top of the ocean,” says Chrissy Powers of the Oceanside Ruby’s Diner at the end of the pier.